NetEnt has created another millionaire after player wins Hall of Gods™ jackpot. One lucky player in Finland scooped a pay-out of close to €2.75m from a mobile spin of just €2 while playing on Paf.com. This adds to recent jackpots of €1.4m and €4.25m that were paid out to players via NetEnt’s Arabian Nights™ and Mega Fortune Dreams™ games respectively, taking the total of seven-figure prizes won on NetEnt’s games this year to eight. 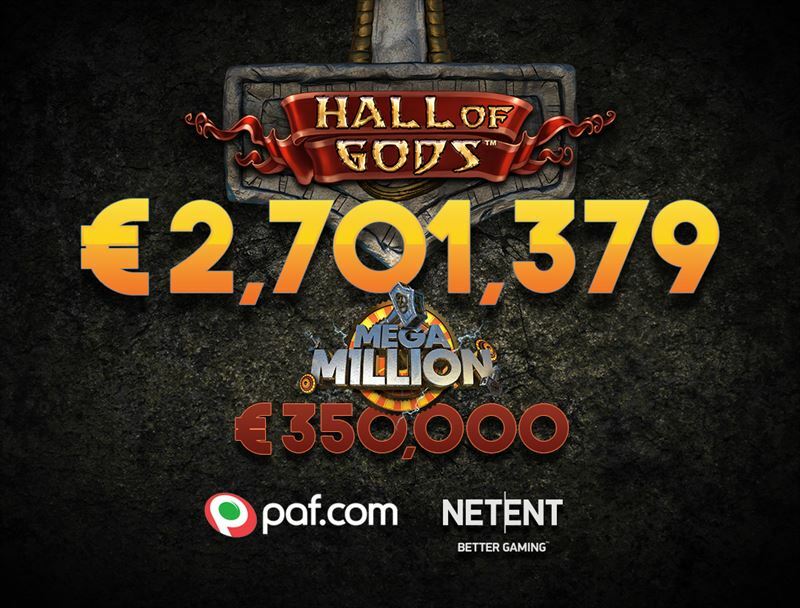 In addition to the Hall of Gods™ pay-out, the lucky winner gets an additional €350,000 through the NetEnt Mega Million campaign. This campaign awards an additional sum of money to the winner of the Hall of Gods™ or Mega Fortune™ mega jackpot. Separate from the jackpot cash prize, NetEnt’s Mega Million campaign also offers players the chance to win €3,800 every day a match is played at this year’s World Cup in Russia. Henrik Fagerlund, NetEnt Chief Product Officer, says: “We have another example here of how NetEnt’s games can change people’s lives, and the Mega Million campaign will give us even more chances to do just that.